Clark Seif Clark provides indoor environmental quality testing and consulting services to identify and mitigate issues in all types of buildings. 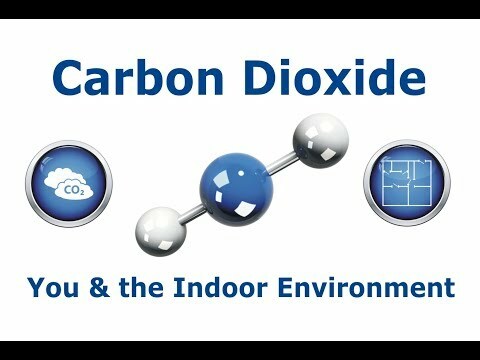 Measuring carbon dioxide levels is just one of the many tools we use as building scientists to assess the air quality conditions of an indoor environment. Carbon dioxide (CO2) is a colorless, odorless gas that naturally occurs in the atmosphere as a trace gas. Humans and animals also exhale CO2 as an end product of cellular respiration. In a home or building, CO2 levels can vary greatly, which is why it is sometimes measured as an indicator to help assess current indoor air quality (IAQ) conditions. According to the Minnesota Department of Health (MDH), the level of CO2 indoors depends upon the number of people present; how long an area has been occupied; the amount of outdoor fresh air entering the area; the size of the room or area; whether combustion by-products are contaminating the indoor air (e.g., idling vehicles near air intakes, leaky furnaces, tobacco smoke); and the outdoor concentration. The agency also reports that building occupants may experience health effects in buildings where CO2 is elevated, but the symptoms are usually due to the other contaminants in the air that also build up as a result of insufficient ventilation. At high levels, the carbon dioxide itself can cause headache, dizziness, nausea and other symptoms. At extremely high levels, it can cause asphyxiation, but CO2 poisoning is very rare.